Posted December 28th, 2017 | Category: Stream & Save. Every year on December 31st, the eyes of the whole world turn their gaze to Times Square in New York City for the iconic Ball Drop. More than a celebration of the coming of a brand new year, it’s a 100+ year global tradition that marks the coming together of people from all walks of life. Be sure to use Replay Media Catcher to save every minute of the New Year’s Eve magic, recording the live streaming music performances, interviews, and of course the Ball Drop, in a super high-quality video! 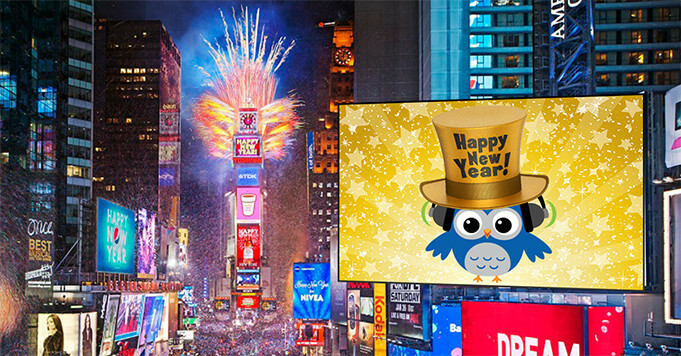 Get Replay Media Catcher today to download and save the NYE 2018 ball drop at Times’ Square! Posted December 12th, 2016 | Category: Replay Video Capture, Stream & Save, Video. Twitch.tv (Twitch) is one of the most widely popular, most-accessed video streaming platforms around the world today. With 2.1 million users broadcasting and 241 billion minutes of live streamed events, most users are focused on video game videos, live gaming competition broadcasts and other video shows. Want to watch your favorite gamers show off their skills on Twitch, but either don’t have a lot of time to catch them live or want to enjoy them internet-free? Replay Video Capture is the only way to create high quality recordings from live streaming Twitch videos, making it easy to watch expert gamers anywhere, anytime and on any device — totally ad-free. Open Replay Video Capture for Mac or Replay Video Capture for PC on your desktop or laptop computer. Head for the live streaming Twitch broadcast you want to record via your browser. Replay Video Capture will automatically locate the Twitch window in your browser – just hit Record to start capturing. Just like that, your Twitch live streams will be captured and saved! Unlike any other screen recording program, Replay Video Capture is designed for the highest quality video output possible, and has recording capabilities up to 100 frames per second. It’s the most powerful way to legally record ANY live streaming gameplay from Twitch. Using a PC? You can also try Replay Media Catcher to track Twitch streams, so you can automatically monitor your favorite gamers and never miss another important broadcast again. 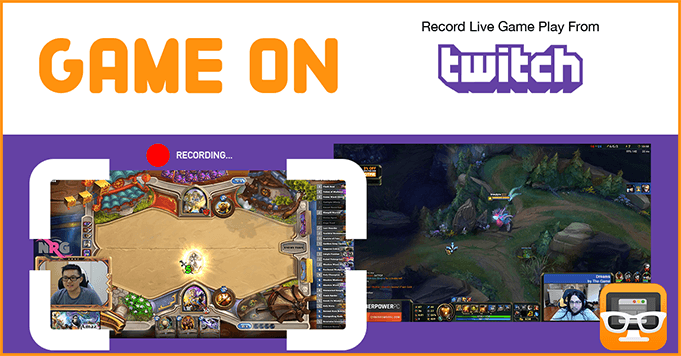 Ready to record your favorite gamers live streaming on Twitch? Posted December 6th, 2016 | Category: Replay Video Capture, Stream & Save. Soccer fans, rejoice! The FIFA Club World Cup championship is taking place this December 8-18, hosted in Osaka and Yokohama, Japan. Pitting six continental club football champions against each other in a 10-day international event, it’s a true representation of the far-reaching effect of the game. As of now, Fox Sports GO is the only option for live streaming the FIFA magic without a TV. Before checking in, make sure you’re armed with the latest Replay Video Capture for Mac or PC to record every match. No matter your hectic schedule this year, Replay Video Capture is there to capture any FIFA Club World Cup streaming online and turn it into a high quality video movie file for you to relive at any time! Make personal copies of your favorite FIFA games live streaming on Fox Sports Go and keep them forever, in whatever format you want, to watch again and again. 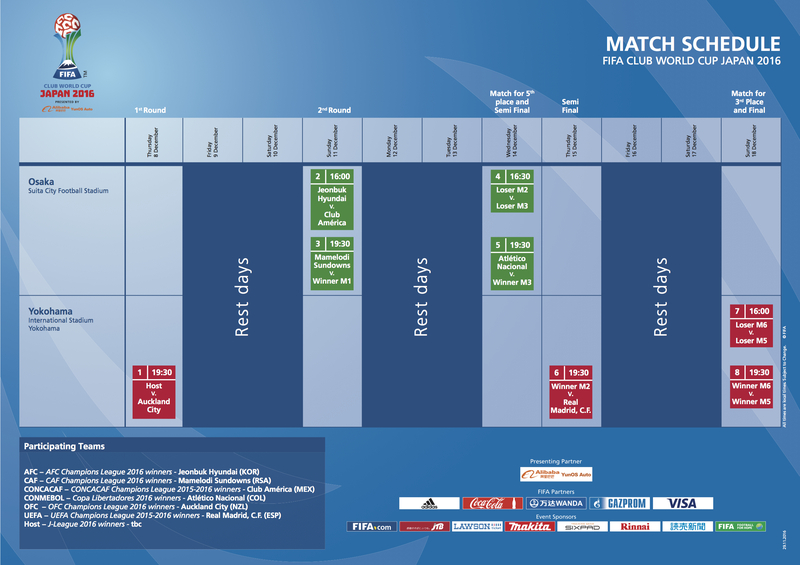 Check out the complete FIFA Club World Cup match schedule for both hosting cities below. Replay Video Capture is the ONLY software out there that can legally record high quality videos of every live streaming FIFA Club World Cup match — be sure to snag it before the games begin! Posted March 29th, 2016 | Category: Applian Software, Replay Video Capture, Video. March Madness is in its final week; we might actually be going mad from anticipation and adrenaline. And, in case you missed the memo, you can live stream every tournament broadcast live on CBSSports.com with no registration required. Combine your live stream access with Replay Video Capture’s powerful capabilities and you get production quality recordings of every remaining game! In fact, it’s the only software on the market that can record streaming video perfectly while being 100% legal to use. Don’t miss a minute of the championships this year — capture it all seamlessly with Replay Video Capture for Mac or PC! Try Replay Video Capture Free Today! Posted March 11th, 2016 | Category: Applian Software, Replay Video Capture, Video. Get ready, folks – this championship’s going to be intense. College basketball’s golden child, March Madness, has almost arrived. All of the madness is set to begin next week, following Selection Sunday (March 13, 2016 @ 5:30 P.M. ET) to determine which teams have made the cut. 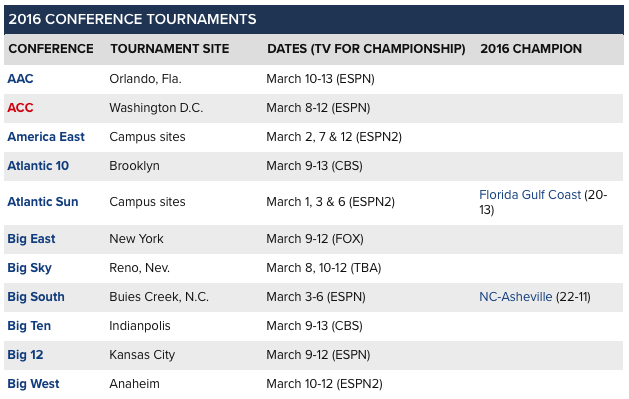 You can check out the first of the conference tournaments below, and view the full March Madness schedule here. Along with your standard viewing options and newly-introduced access points, fans can catch every tournament broadcast live on CBSSports.com (no registration required). And, with the CBS Sports March Madness live stream, you can use Replay Video Capture to record every pass and slam dunk! With Replay Video Capture, March Madness fans can make production quality video recordings of every tournament game – it’s the only software out there that can expertly record streaming video with perfect quality, and doesn’t circumvent any copy protection technology, making it 100% legal to use. Posted February 3rd, 2016 | Category: Applian Software, Replay Video Capture, Video. Super Bowl 50 is just a few days away and the excitement may actually be too much to bear! This championship is a truly historic one for the National Football League, marking the 50th annual battle of football greatness. The Carolina Panthers and Denver Broncos are going head to head this year, with the Panthers currently favored by 4.5 points. Coverage will begin on CBS at 11 a.m. EST, and will also be streamed live on CBSSports.com so you can record all the most intense moments with Replay Video Capture! The best part? Replay Video Capture is completely, 100% legal! So you can capture every bit of Super Bowl action, halftime entertainment and classically over-the-top commercials worry-free. Posted January 13th, 2016 | Category: Applian Software, Replay Video Capture, Video. If you’re anything like us, January brings excitement for the upcoming bustle of live events that we’ve been tuning into for years. Beyond the obvious excitement that settles in, it brings about feelings of nostalgia, community and tradition. As global celebrations, major sporting events and award shows — like the Golden Globes this past weekend — have begun their shift into the digital age and adapt to current needs, more and more of these renowned live experiences are supporting online streaming formats. With today’s streaming services, combined with the recording power of Applian software, you can get ahead of every one of these major live events happening in 2016 and capture them forever! Get ready for all the grabs, kicks and passes you can handle. Happening in our very own Bay Area, Super Bowl 50 is going to be one to remember – and you can steam and record it all from the comfort of your couch! Stream the Super Bowl live through NBC, and record all of the spontaneous action, half time madness, and winning touchdowns with Replay Video Capture. PBS NewsHour will be producing, broadcasting and streaming the upcoming Democratic debate, live from The University of Wisconsin-Milwaukee and hosted by PBS’ own Gwen Ifill and Judy Woodruff. Before the Democrats have their fun, however, FOX Business Network is set to live stream the Republican Debate this week on January 14. Neil Cavuto and Maria Bartiromo will be moderating this debate live from the North Charleston Coliseum and Performing Arts Center. No matter whose side you’re on, you can use Replay Video Capture to record the entire event directly from the PBS live stream. We’re always surprised by the amount of talent that is recognized and reflected upon during the Academy Awards. Stay tuned for all of the noteworthy nominees announced this week, then be sure to download Replay Video Capture to watch and record the whole live ceremony from your own computer! A tradition rooted in, well… madness, March Madness is one of the most adrenaline-packed ongoing events in all of basketball. Lucky for those NCAA subscribers, every game will be live streamed online! 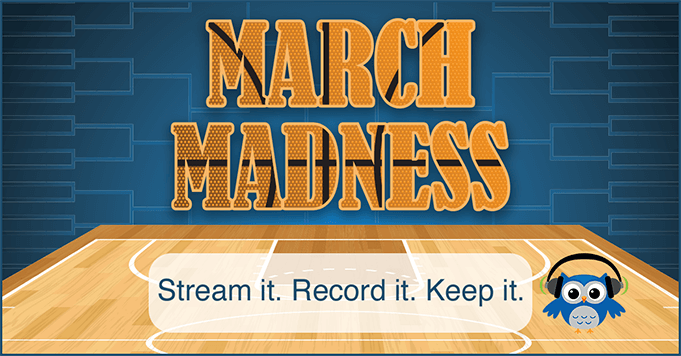 And, if you’re using a TV provider partnered with the NCAA for March Madness, you can view and record it all with Replay Video Capture. Rio de Janeiro is the perfect backdrop to our upcoming Olympics! We can’t wait for all of the diving, boxing, canoeing, and gymnastics action – and NBC Sports will be streaming all the action online! Check out the full Summer Olympics 2016 live stream schedule here before the action begins and get ready to record with Replay Video Capture. Download the best Applian software today to record all of the most exciting live events happening in 2016. Posted November 11th, 2015 | Category: Applian Software, Podcast, Radio, Replay Radio. Podcasts are this generations’ talk radio; they’re addictive, they’re everywhere, and they’re only gaining popularity as more people adopt smart technology. One of the best things about the seemingly endless supply of these digital goldmines is the amount of knowledge you can obtain just by opening your ears. We created Replay Radio to help you keep this expansive, audible knowledge accessible anywhere. Here’s a selection of our favorite educational podcasts you can capture using Replay Radio. What good is newly obtained information if you can’t retain it? The Master of Memory podcast will teach you tactics and methods to improve your memory for the everyday, such as mnemonics and memory palaces, making it easier to absorb knowledge quickly. Use Replay Radio to capture Master of Memory from iTunes or the website. Best when listened to from the beginning to end, this podcast is perfect for those interested in philosophy who aren’t experts. By breaking down and explaining the ideas and people who helped to shape society today, we can all expand our minds just a little further. Use Replay Radio to capture Philosophize This! from iTunes or Stitcher. Well-known for producing audible content full of “ideas worth spreading,” NPR’s TED Talks series is all about inspiring imagination, exploring new ideas, and delving deep into the past. With intellectual speakers from all walks of life and areas of expertise, there is always something new to learn. Use Replay Radio to capture TED Talks from iTunes or the NPR website. Here is a podcast all about changing the “starving artist” stereotype we’ve grown accustomed to. As entrepreneurs, the hosts of this show answer questions, offer helpful tips, and deliver insight to those creative people searching for how to make it on their own talents. Use Replay Radio to capture The Smarter Artist from iTunes or the Sterling & Stone website. Have you ever wondered how musicians construct the perfect song? The Song Exploder podcast explores and deconstructs tracks to help you better understand the meaning behind the music. Tapping into the artists minds themselves, this show is ideal for the audiophile in all of us. Use Replay Radio to capture Song Exploder from iTunes or the website. Witty beyond words. Popular physicist Brian Cox and comedian Robin Ince from BBC Radio 4 host this fun exploration of science, delving into subjects like space tourism and the apocalypse with the help of a guest panel. Use Replay Radio to capture The Infinite Monkey Cage from iTunes or from BBC Radio 4. Get Replay Radio today to record and save all your favorite podcasts, or download the full Replay Capture Suite for even more great recording software! Posted October 21st, 2015 | Category: Applian Software, Replay Video Capture. The 2015 World Series will be broadcasting on Fox, and we can’t wait to see the energy of the season championship. Whether you’re rooting for the Blue Jays, gunning for the Royals, or siding with the Mets (sorry, Cubs); before tuning in, make sure that you have the latest and greatest Replay Video Capture for Mac or PC to record every playoff game and the series streaming online! Replay Video Capture is the easiest way to capture anything you see on your computer screen and turn it into a high quality video movie file. Make personal copies of your favorite World Series games live streaming on Fox and keep them forever, in whatever format you want.